The turning of the millennium felt like something of a sonic wasteland for heavy metal music for me. So much of it seemed uninspired. Then one day while wasting time on MySpace playing some insipid game called Vampire Wars, a foe I was trying to vanquish suggested I listen to Within Temptation. I went to YouTube and began watching their videos, falling down the rabbit hole for hours. The Dutch band had just released its epic 2007 album, The Heart of Everything. It remains one of the few albums of this century that I consider flawless. Sharon den Adel’s voice is so embracing and readily identifiable one could listen to her sing the names from a phonebook and become mesmerized. She formed Within Temptation with her longtime life partner, guitarist Robert Westerholt in 1996. Bassist Jeroen van Veen has been with them since the beginning. 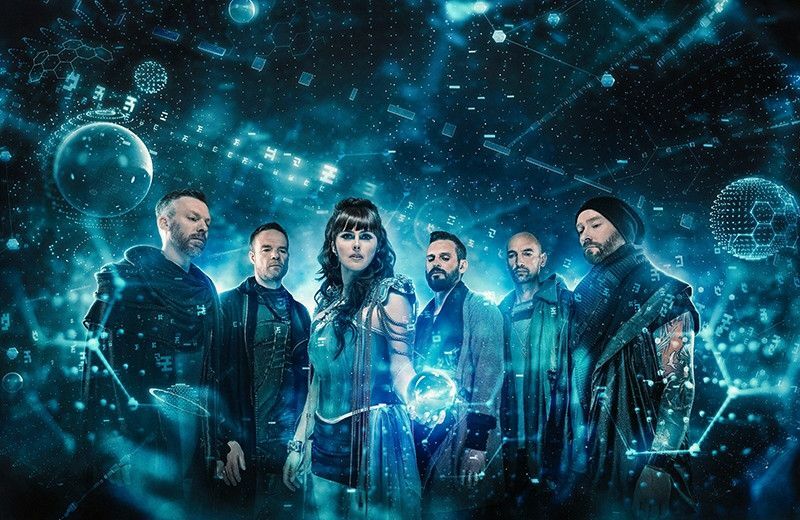 Over the course of Within Temptation’s 20+ year career, the group’s sound has evolved from doomish Gothic metal, to symphonic metal, to 80s pop-infused cinematic metal, to a new hybrid fusion of metal with futuristic and urban elements added to this sonic evolution. The result is the band’s seventh studio album, Resist. The 1997 debut album, Enter showcased their early doom and gothic influences, but by 1998’s EP The Dance, one could already hear a sonic shift. A sound that would evolve even further with their second full-length effort, 2000’s Mother Earth, which featured the band’s first breakthrough single, “Ice Queen”. Four years would pass before The Silent Force would release, the first to feature guitarist Ruud Joile and keyboardist Martijn Spierenburg. By this point, they were arguably the frontrunners of the symphonic metal movement. Worldwide notoriety would come three years later with the release of The Heart of Everything, which would include four different versions of the single, “What Have You Done,” and launch four other singles as well. Another four years would pass before the release of The Unforgiving, an album showcasing an 80s pop influence into an album conceptually devised as a film soundtrack. Westerholt would retire from active touring to focus on family and studio work only. Stefan Helleblad would take over his guitar duties, and drummer Mike Coolen joined in time for the album’s tour. After a covers album in 2013, the band returned with arguably its biggest album to date with 2014’s Hydra. The record broke new ground for the band musically while also revisiting some of its earlier elements. It featured guest performances including Tarja Turunen, rapper Xzibit, David Pirner (Soul Asylum), and Howard Jones (Light the Torch, ex-Killswitch Engage). 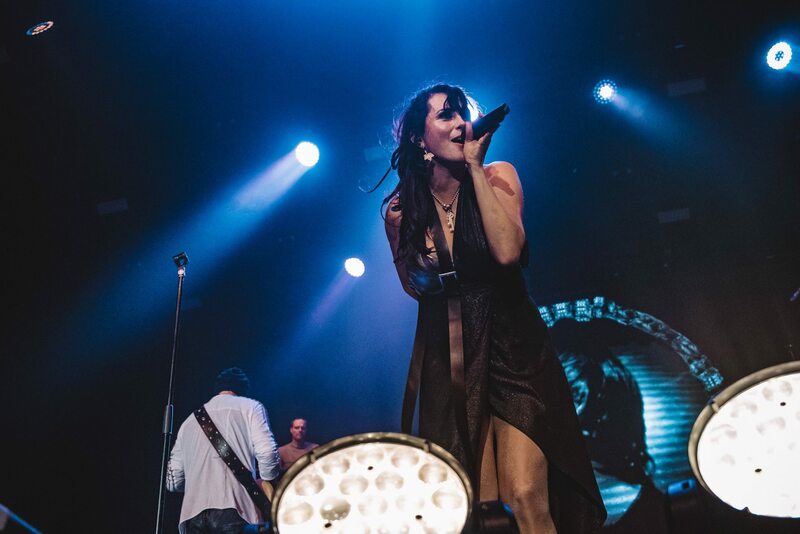 Within Temptation embarked on one of its largest and longest tours, and by the time it was over, den Adel admits to being creatively drained. After some down time she began working on a solo project, the singer/songwriter-centric, My Indigo. Feeling refreshed and re-inspired, Within Temptation began work on its boldest album so far, and this week we spoke with Sharon about the new record, Resist. What did you want to say with this Resist? You can listen to the full interview with Sharon den Adel below as she talks about My Indigo, the sound and direction of Resist, some of the album’s songs, the political and social commentary of the album’s theme, and much more.